I've never been a huge fan of Westerns, so it's really the great actors in True Grit that caught my eye on this billboard for the movie - Jeff Bridges, Matt Damon and Josh Brolin. Don't you just love the simplicity of this billboard with the single oozing bullet-hole and the use of the word 'Retribution' to convey a great sense of foreboding. The film is a remake of a John Wayne classic, about a fourteen year old girl who wants to avenge the death of her father, so the directors, the Coen brothers, have big shoes to fill. 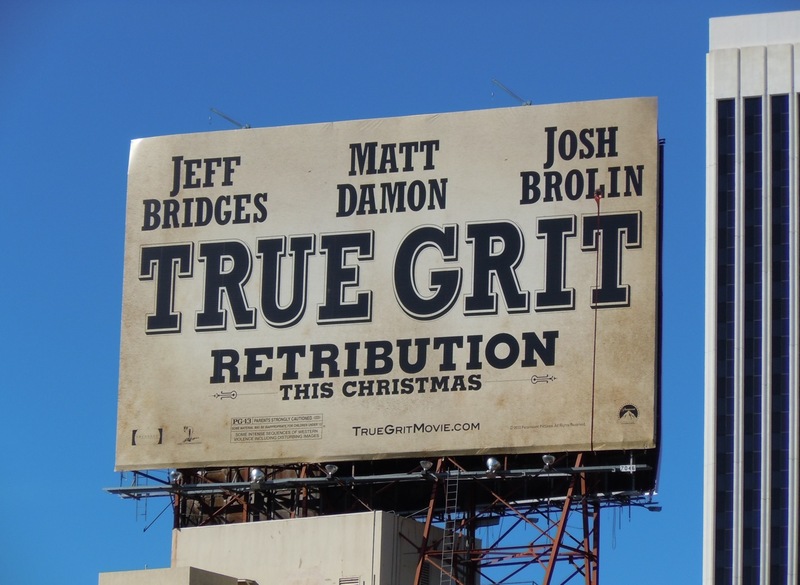 This movie billboard was snapped along Wilshire Boulevard at the La Brea Tar Pits on December 1, 2010. 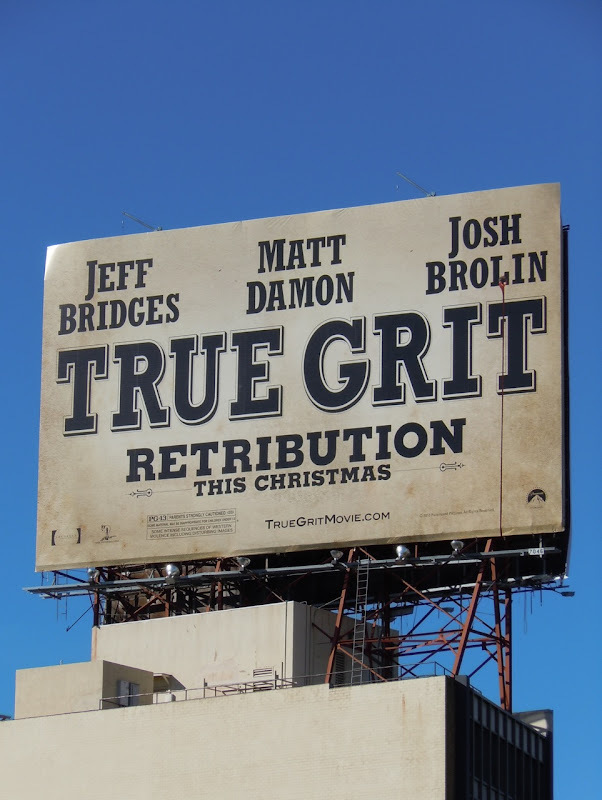 Be sure to check out these original costumes worn by Jeff Bridges, Matt Damon and Josh Brolin in True Grit.